LNG is an attractive alternative to diesel for Heavy Duty Vehicles (HDV). LNG as transport fuel is costs competitive with diesel and also leads to lower emissions and a significant reduction of engine noise. As a result, the interest in liquefied natural gas (LNG) for road transport is growing fast. Whereas at the end of 2016 there were around 2.000 LNG-fueled trucks in Europe, this number is expected to double over 2017. Several truck manufacturers offer LNG fueled models. To date Iveco has been at the forefront, but also Scania, Volvo and Mercedes have developed and introduced LNG fueled models to the market. Manufacturers are now bringing LNG fueled trucks with stronger engines on the market. For example in 2016, Iveco introduced the new Stralis NP. This is the first LNG truck suitable for long haulage. The truck is equipped with a 400 hp engine (previously 330hp) with a range up to 1.500 km and the same payload as an equivalent diesel truck. Whereas, the market for LNG in the transport sector until recently has been centered around distribution (mostly retailer), the new Iveco model is a significant step towards development of the long haul market. The number of LNG fuel stations in Europe is growing rapidly. Currently, LNG Blue Corridors, a project aimed at establishing a European network of LNG stations, reports a little over 100 stations in operation by mid-2017. Especially, The Netherlands, UK, Spain and Italy have been actively developing local infrastructure. Another 40 or so station are planned. Next to the aforementioned countries, also France is rapidly expanding its infrastructure. 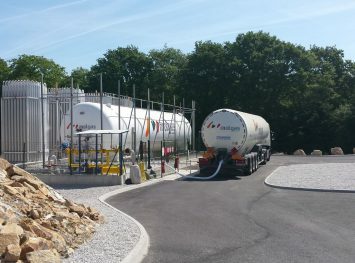 Molgas designs, builds and operates LNG fuel stations. 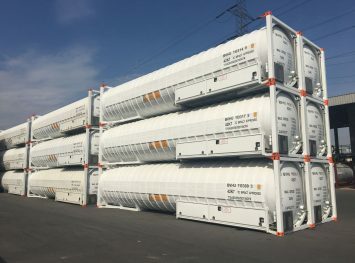 Molgas offers a comprehensive LNG fueling solution to fleet owners, and with its large LNG trailer fleet it can offer LNG supply throughout Europe. Furthermore, Molgas has a detailed understanding of LNG fueling requirements as it also operates LNG fueled trucks in its own fleet. Natural gas already is a common fuel for road transport in the form of compressed natural gas (CNG). However, the arrival of LNG as transport fuel offers advantages especially for the higher horse power vehicles. A key advantage of LNG over CNG as transport fuel is its energy density. 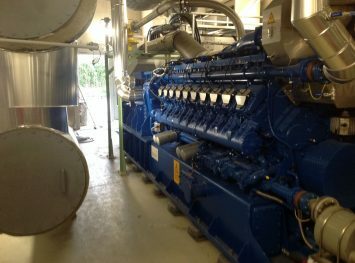 This enables to store more natural gas in the fuel tanks and thus provides a much longer range. LNG fueled trucks can currently drive 1,500 kilometers without the need for re-fueling. This bigger operating radius makes LNG a competitive alternative for use in regional distribution as well as long haul transport, while CNG is mostly used for limited city distribution and garbage collection. 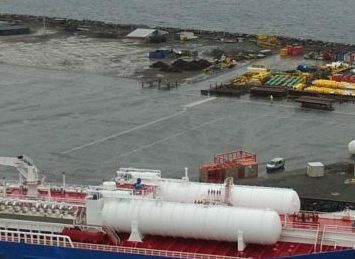 In many cases LNG can be cost competitive with CNG since the latter requires access to a pipeline and costly gas compression.